I believe we all have the capacity to soar in our own way when we truly honor ourselves. Lori Miller-Freitas, LICSW, NBCCH is a graduate of Boston University School of Social Work. She began her career working in community mental health where most of her clients were survivors of severe trauma and loss. Although conventional talk therapy was helpful to her clients for developing new coping skills and a sense of connection, it did not alleviate the symptoms fast enough or deep enough. Therefore Lori decided to find more thorough and transformational methods of healing. The first holistic training she began was Reiki. Reiki developed a sense of calm and a heighten intuition in Lori. She was then able to use Reiki to deepen her conventional therapy. Lori is currently a Usui & Shamballa Master and teaches Shamballa in her office. Then Lori acquired training and certification in Clinical Hypnotherapy, EMDR, Thought Field Therapy and Tapas Accupressure Technique. 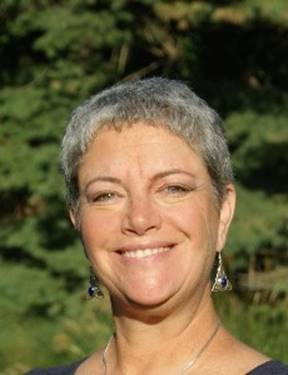 Lori Miller-Freitas, LICSW, is an EMDRIA Approved Consultant in EMDR and is available for consultaion, consultation in EMDR, and consultation in multi modal psychotherapy. Lori is also available to groups for consultation and presentations. Eagle is my symbolic connection to my inner power. Native Americans believe we have animal guides. When I become the Eagle, I am able to soar to great heights, feeling an enormous sense of peace and strength.